Leaned backward with a lipless grin. Stared from the sockets of the eyes! Tightening its lusts and luxuries. Allayed the fever of the bone. 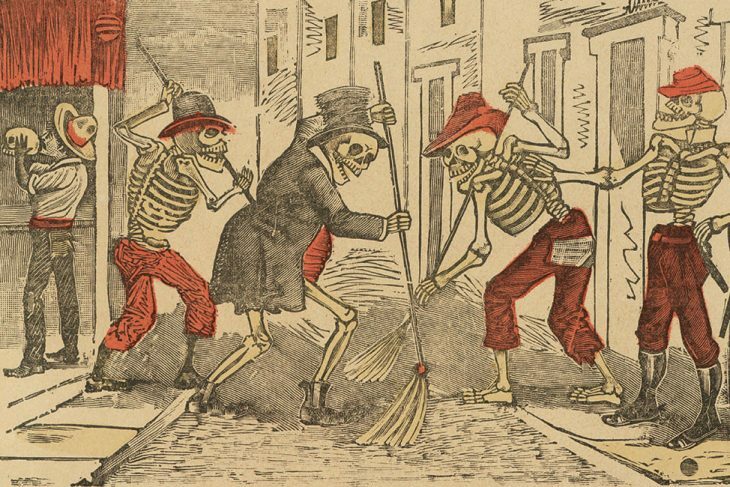 I cannot think of these lines without think of José Guadalupe Posada (1852-1913), who is famous for his depictions of cavorting skeletons. As I am thinking once again of going to Mexico this next winter, I am thinking of the country’s great artists, including José Clemente Orozco, Diego Rivera and Frida Kahlo, David Siqueiros, and Rufino Tamayo, to name just a few. And Posada belongs on that list, though perhaps in a more minor key. Unlike most Americans, the people of Mexico do not sweep the idea of death under a carpet. In fact, November 2, called All Souls Day in the Catholic Church, is the Dia de los Muertos, the Day of the Dead, throughout Mexico. Families visit their dead in the cemeteries with a picnic lunch and with all their children in tow. I remember a long intercity bus ride back in the 1980s on this day on which most of the passengers were joyfully looking forward to their Day of the Dead festivities. The children had white sugar calaveras, or skulls, which are a special treat available throughout the country. This feeling about death goes back to the Maya and the Aztecs, who fought wars just to get prisoners to serve as sacrificial victims, whose hearts were cut out still steaming from their bodies with an obsidian knife and dedicated to the gods. 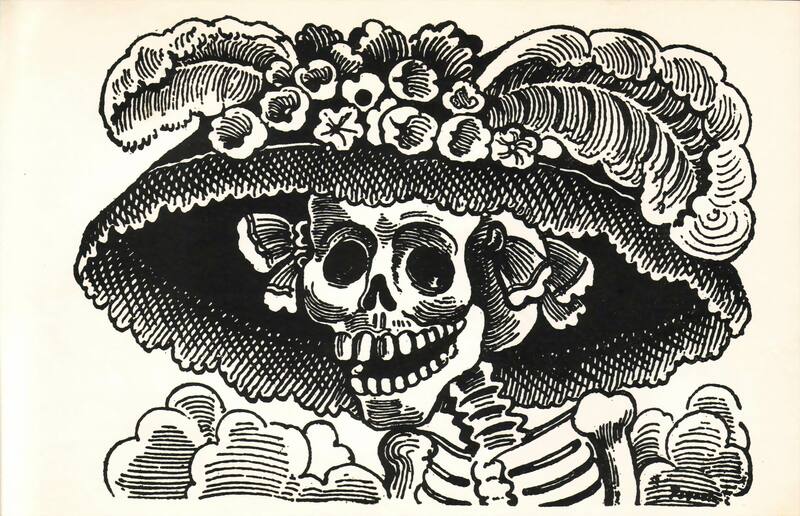 This entry was posted in art, poems and tagged calaveras, day-of-the-dead, jose-guadalupe-posada, t-s-eliot. Bookmark the permalink.